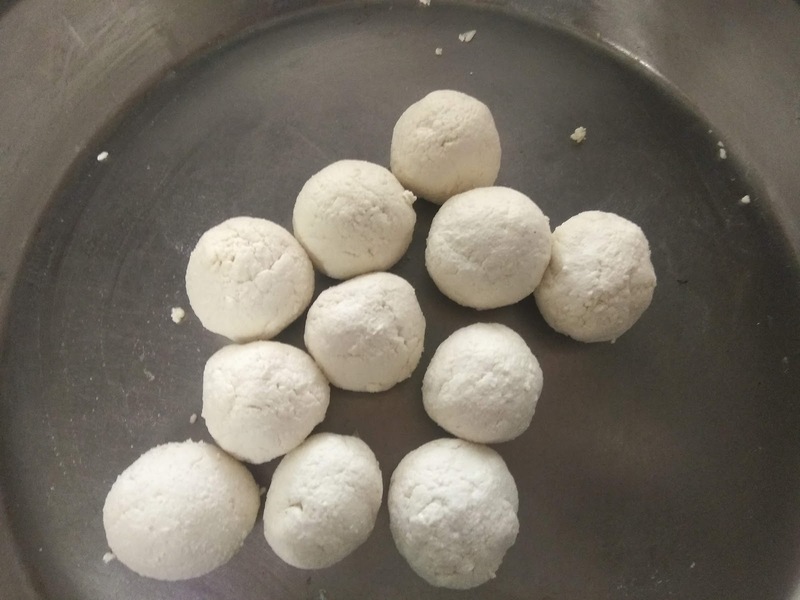 Rasgulla is a very famous and one of the most desired Indian sweet. 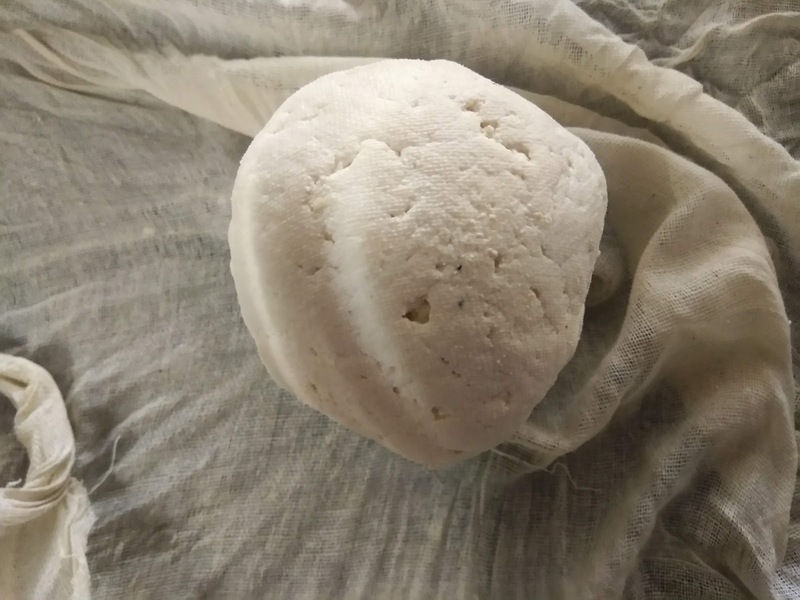 Specially kids love it due to its spongy, soft and chewy texture. It’s recipe procedure is very very simple but at the same it’s very technical. After many failures I learnt and understood these steps which I am going to share now. Loop in even one step will lead to disappointing result. I would suggest to keeping trying even if you are not able to nail it at one go. You just need to nail and understand 3 important steps. First thing is to get soft cheena. If the cheena will be hard you will have hard rasgulla. Here it’ very very important to use ice-cold water. 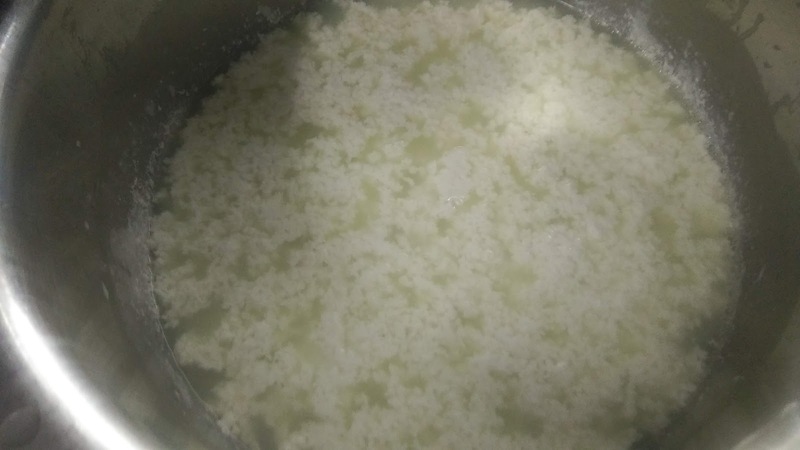 I added ice-cold water, initially to cool down the milk and then added in curdled milk to further cool down cheena, if you add citric acid without cooling the milk it will be hard and it’s important to cool down the cheena to avoid stiffness in it. 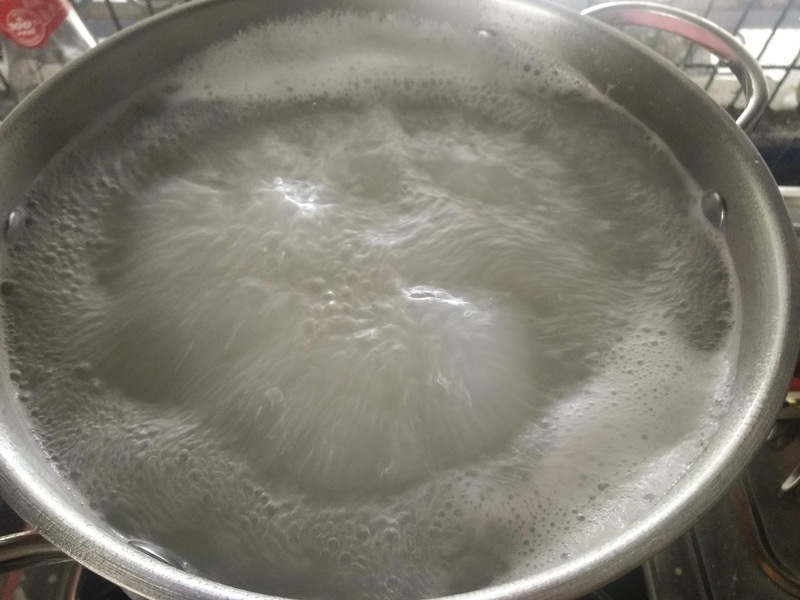 Then finally do remember to wash cheena with ice-cold water and not with room temperature water. 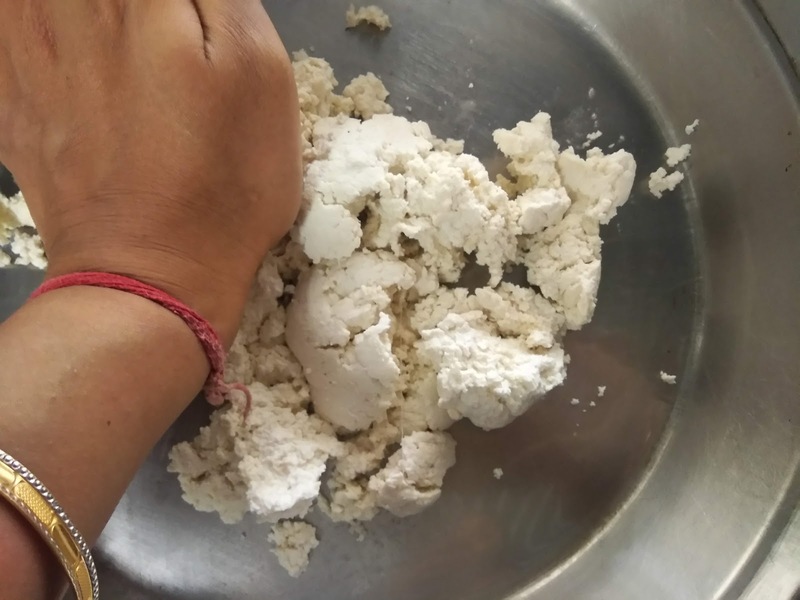 Second step is to knead the cheena…. It should be not be over or under done…. It generally takes 5-8 minutes to get smooth and perfect dough. 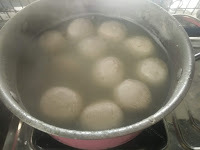 Third and most important step is to boil it. . And the secret to get spongy rasgulla is in this step…. More the bubbles in syrup more spongy will be the outcome. Halwai’s add reetha to get bubbles which result in super spongy rasgulla. Yes…. 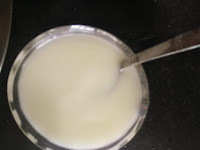 It’s shocking and true…..
Reetha is definitely not good for health to consume….. So what can be done to get that effect….. 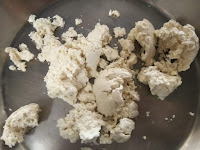 I replaced reetha with cornflour slurry…. It could not give that effect but it worked pretty well and gave spongy rasgullas. Which you can see in the pic. 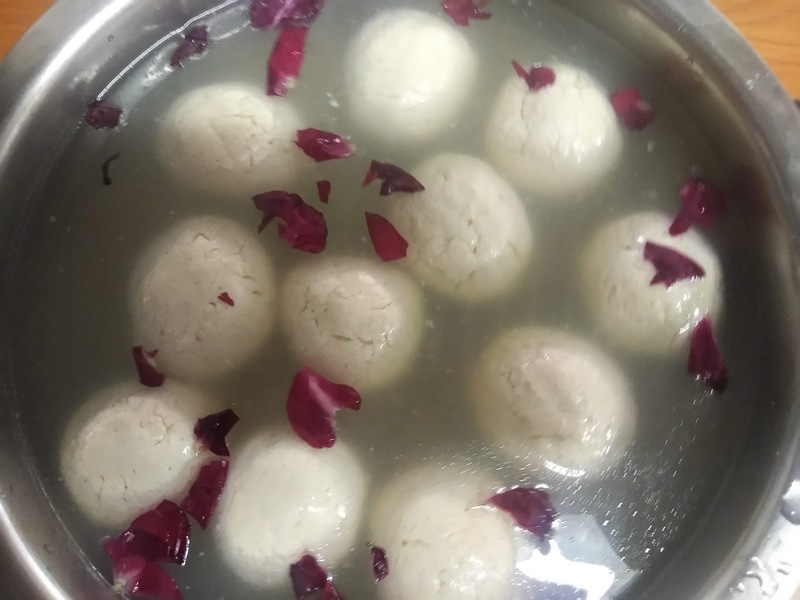 Now after getting all these steps perfectly we often make mistake of transferring hot rasgullas in cold syrup and immediately pop in the fridge… Have patience and let it cool down completely then transfer in fresh syrup and then keep in the fridge. It’s important to keep it for at least 6-8 hours…I keep it overnight for best result. I guess enough of writing ….. Let’s begin…..
1/2 cup cold water for cooling milk before curdling. 1. Mix lemon juice with 2 tbsp water Or dissolve citric acid in 1/4 cup water and keep aside. You will see citric acid will dissolve naturally. If any particles remain stir well with spoon. 2. Bring milk to boil. 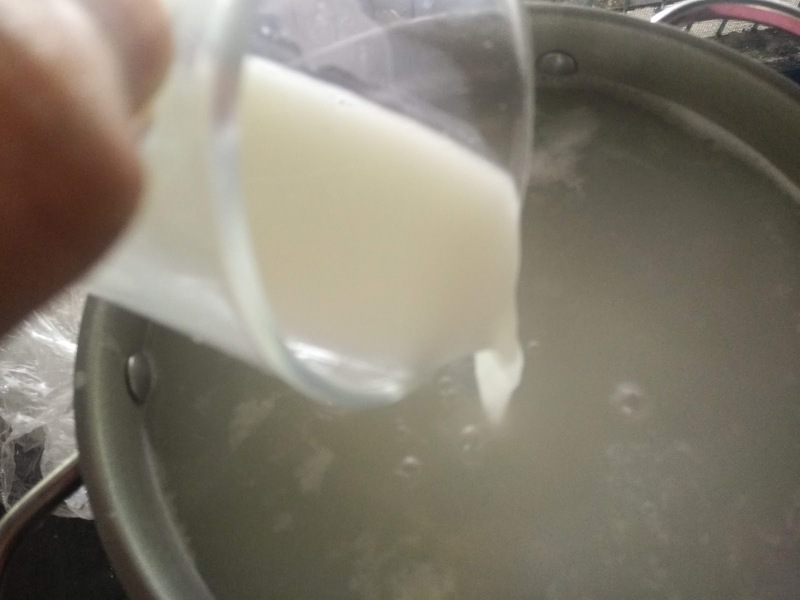 Turn off the flame and add 1/2 cup ice cold water to bring the temperature of milk down. 3. 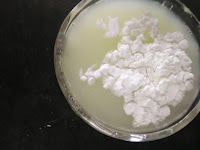 Add citric acid mix little by little mixing milk at the same time. 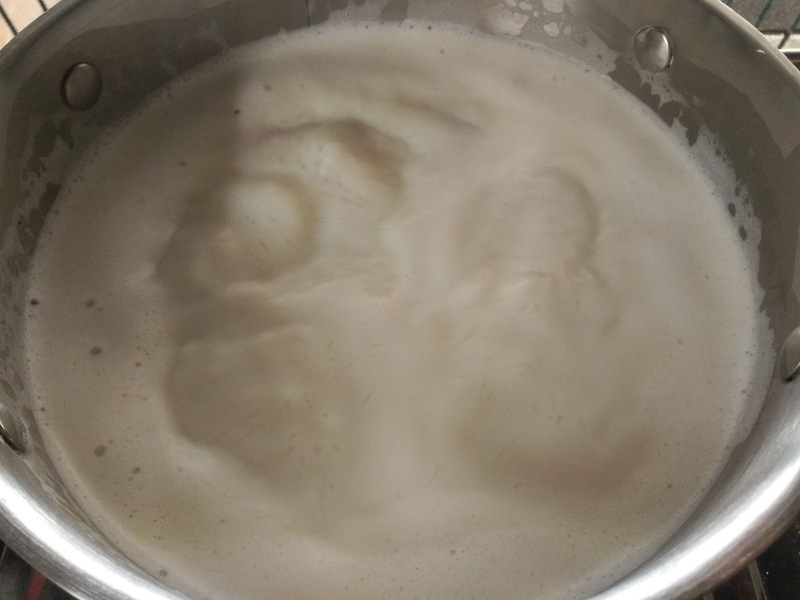 After a minute or so you will see milk is curdled. Now add almost 1 litre ice cold water in it. 4. 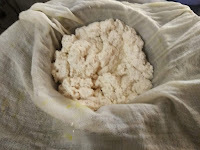 Strain the curdle milk using clean muslin cloth. 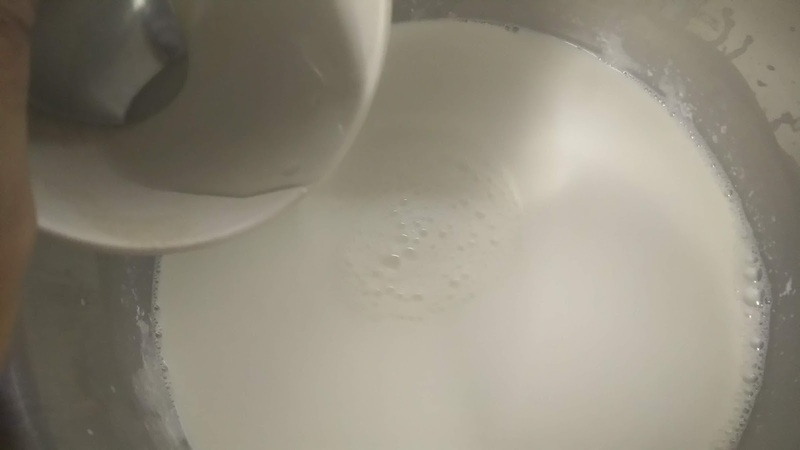 Keep half cup water of curdle milk aside for later use. 5. Wash it with ice cold water to take out sourness. Here I used around 1 litre ice cold water. 6. Squeeze out the excess water. 7. Hang this 30 minutes to1 hours. Time depends on the cheena quality. It takes 1 hour for me. Check after 30 minutes, if water is still there hang for another 30 minutes. Here, it is important to have moist cheena but with no water otherwise it will be difficult to knead it. 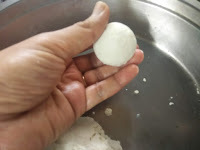 This is again very important step, if cheena becomes too dry it will result in hard rasgulla. Please note it might take more than 1 hour in some cases depending on the quality of milk. 8. Once cheena release all the water but is moist start kneading it. Knead for about 5 minutes. If cheena is still wet please don’t proceed. 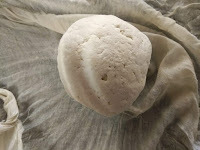 Squeeze out the excess the water by pressing the cloth or hang for more time. While kneading if cheena stick to your hands it means it needs more time to dry. 9. 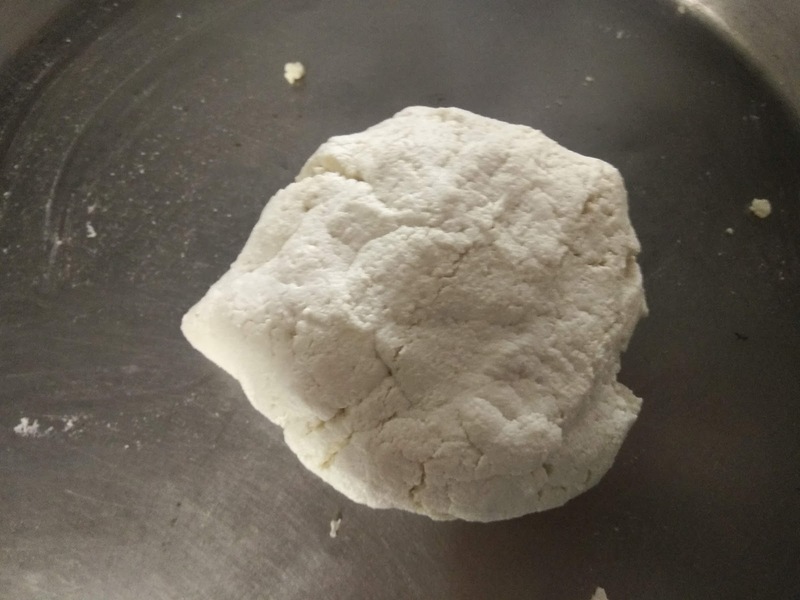 Divide cheena in small equal parts. 10. Press between your palm and give it round shape. 11. Before you start kneading, keep 10 cups water with 2 cups of sugar for boiling. Avoid keeping cheena balls uncovered for long. 12. Take one cup of leftover water of curdle milk, add 2 tbsp cornflour. 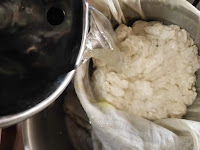 Make a slurry. Keep aside. 13. Once sugar syrup stays boiling add 2 tbsp milk. Remove the scum if any. 14. Now add cornflour slurry to it. 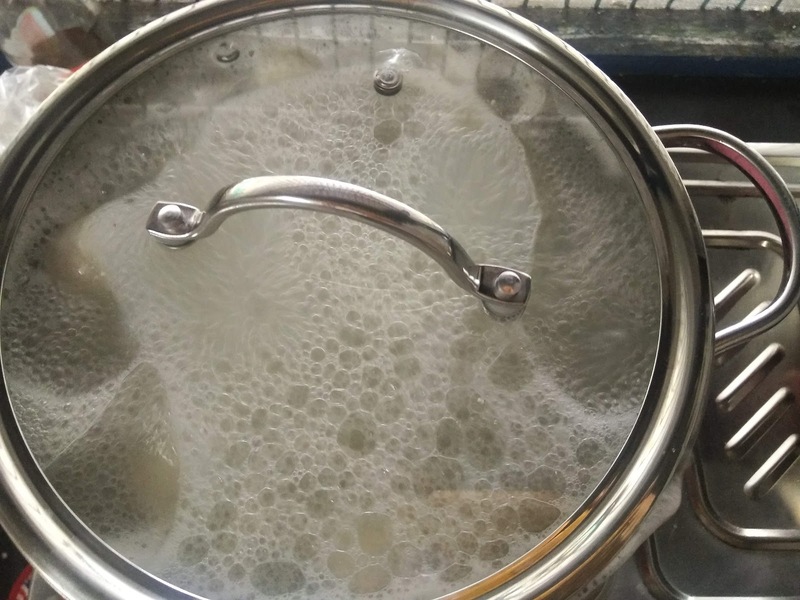 Let water come to rolling boil. Add cheena balls one at a time. 15. 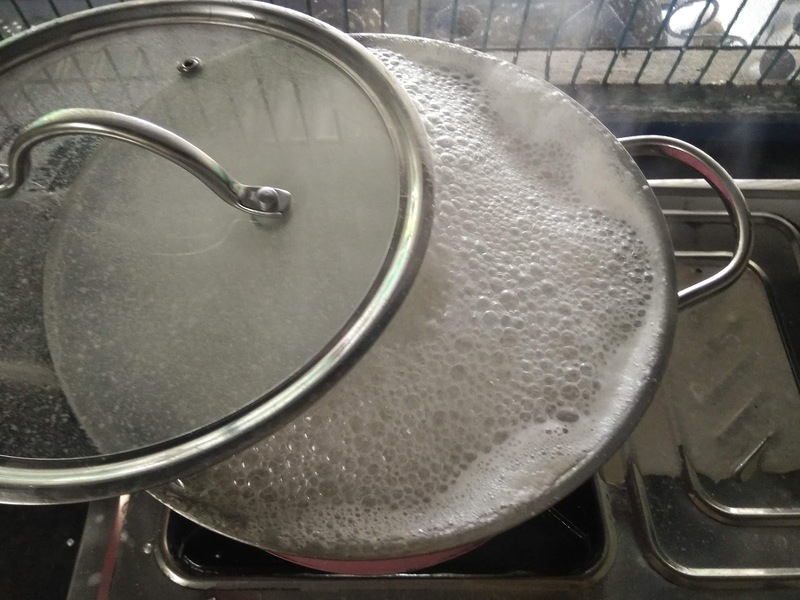 Cook on high flame by just keeping the lid and not closing it. Make sure to have continuous bubbles. 16. Cook on high flame for 10 minutes and then reduce the flame to medium and cook for another 15 minutes. 17. Make sure to have continuous bubbles for sponginess. 18. 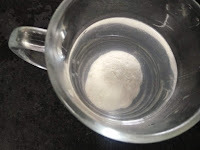 To check whether it’s cooked, half full the glass with water drop rasgulla, if it sinks it’s cooked, if it floats on top cook for another 10 minutes. 19. Once done, leave it to come down to room temperature. 20. Make sugar syrup by boiling 1 cup sugar in 1 cup water. Keep aside and let it cool down. 21. Once both rasgulla and sugar syrup cool down add rasgulla in syrup. Refrigerate for 6-8 hours or overnight and enjoy. 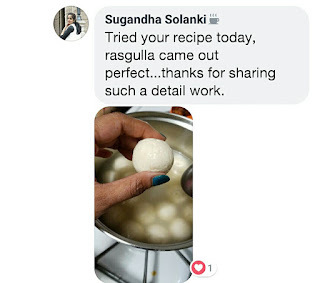 Make sure both rasgulla and sugar syrup should not be hot. 22. Enjoy these spongy rasgullas at home. 1. Bring milk to boil. Turn off the flame and add 1/2 cup ice cold water to cool it down. 2. Wait for 30 seconds. Add citric acid dissolved water. 3. 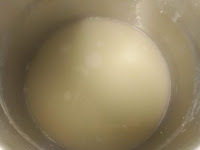 Slowly add citric acid and keep mixing till milk curdles completely. 4. Now add 1 litre ice cold water. 5. Strain in clean cloth. 6. Keep 1 cup whey aside. 7. Pour ice cold water over cheena. Wrap it in the cloth. 9. Before start kneading the cheena, keep water and sugar for boiling ( 10 cups water with 2 cups sugar). 10. After 1 hour open it. 11. Crumble with hand in big pan. 12. 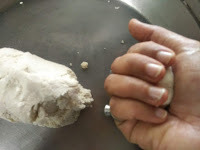 With the edges of palm start kneading the cheena, don’t put too much pressure. 13. After 4-5 minutes you will get smooth dough. 14. Start making small sized balls. 17. 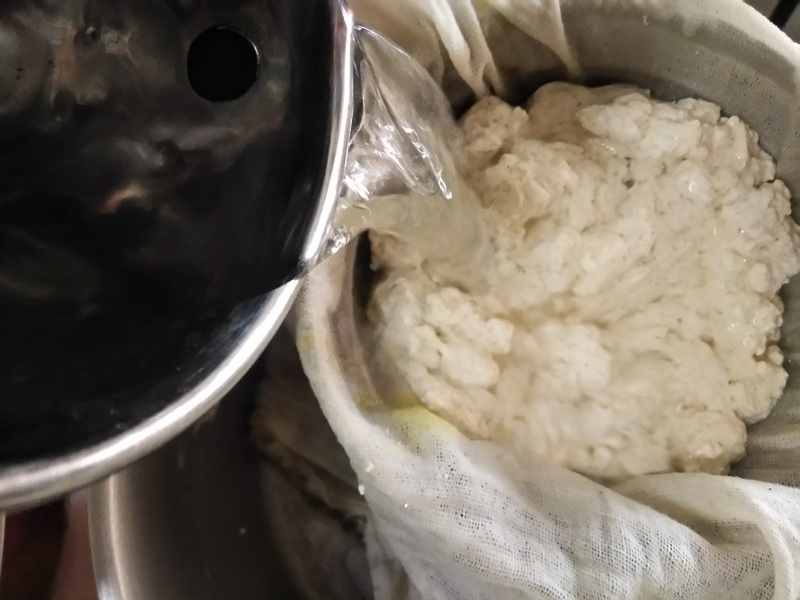 Make a slurry of whey. 19. Add this in boiling sugar water. Let again water come to boiling point. 20. Once it reaches rolling boiling point drop balls one at a time. 21. 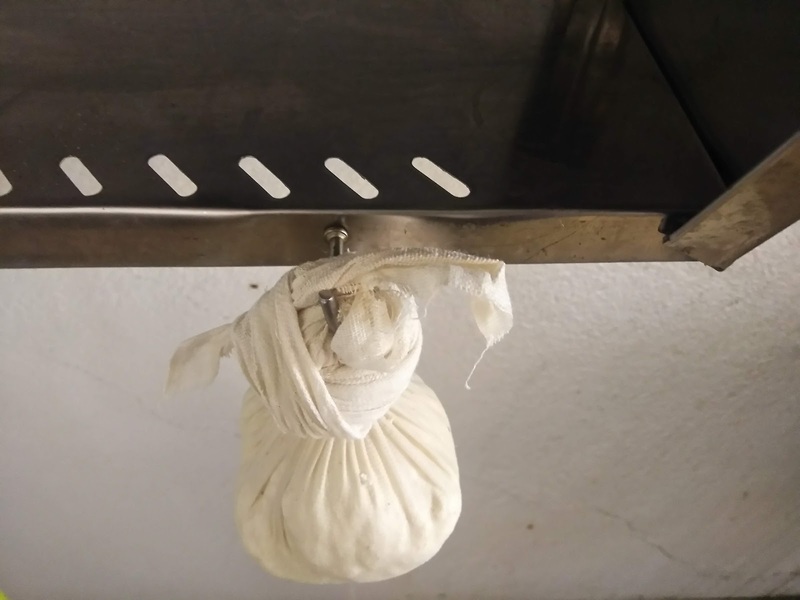 Cover and make steam. 22. 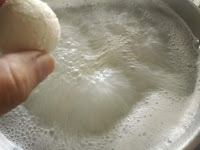 Once it become foamy, open the lid and set aside otherwise it will overflow. 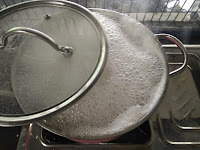 Keep lid on side will maintain the bubbles. 23. Cook till they are done. 24. To check if it’s done, drop it in a glass of water, if it’s cooked it will settle down, if it floats cook for some more time. 25. Transfer cool rasgullas in fresh sugar syrup. Add kewra water. 26. Some rose petals for fragrance. Keep in fridge for 6-7 hours. 27. 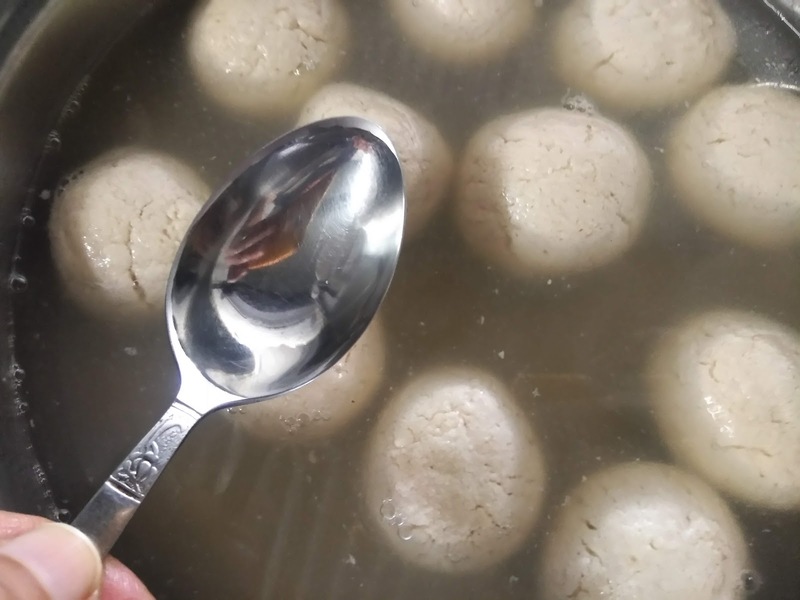 A small video of spongy juicy rasgulla!